Renting a pricey property is inevitable especially when you are in a rush to move out from your previous household. And whether you choose to move into an a condo for rent in Makati or any condominium in the Philippines, the price would definitely vary depending on how good you negotiate with your landlord. However, not all of us are lucky to have a good landlord who considers negotiation. As a result, they don't have any choice but to rent a pricey condo. For some tenants, renting such expensive price doesn't matter at all. But if you are one of those people who are into budgeting and wants to cut down expenses, then you might as well think about it again and again. To give you an idea, below are some things to consider on what and what's not to expect when you happen to rent in a pricey market. If you are dreaming of fancy furniture on your condo but can't achieve those desires since your rent is high, then you might want to consider improving things. Instead of having an expensive wall décor, you can have some fancy wallpaper. It can still make your condo look nice and elegant yet with an affordable price. Of course, you also have to make sure that you can properly make the decorations look good in your home for as not to compromise its beauty and design of the place. And if you are planning to buy expensive things, think again if it's worth your money. If you think that it is not that useful and important for you, then you might as well skip that thought of buying such expensive things. Remember, you're renting a pricey condo. At least, save your money for it. 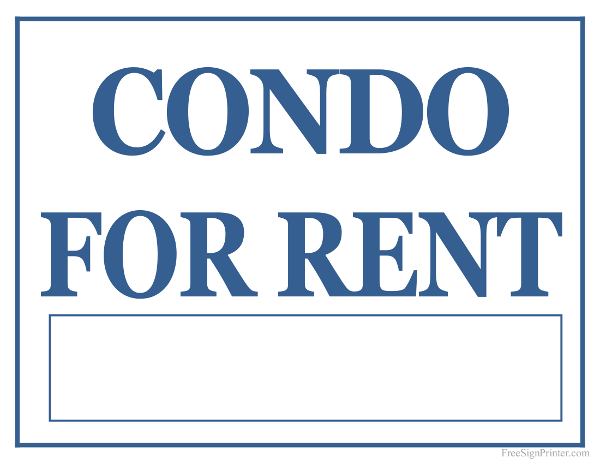 If you think that you really can't afford to pay the rent yet you also have no choice since the condo is near your school or work, then you might want to consider asking your friends and family members if they are willing to live with you and divide the rent. With that, you might survive having and living in that condo. Having a roommate is not a bad thing after all. In fact, they just don't just accept their responsibilities when it comes to paying their monthly dues but also, you can have some good and memorable experience while living with them. Additionally, you might need them when in any cases of emergency. When you are a tenant, you have to expect that sooner or later, your landlord will have an increase in your rent. Of course, you also have to know what and why your landlord is increasing. Well perhaps, the marketer price is also increasing, that is why they also are increasing, or there are some renovations they do to make the condo look good and liveable. With that, expect additional cost. Yes, living a pricey condo might be a hassle on our part. But always remember that it can be resolved if you just know what and what's not to do to achieve the desired outcome. Of course, before you decide something, you have to think again and again to make sure that you will not regret the things you have made. Again, one of the best solutions you can have when you can't already afford the rent is to move out. Of course, you don't have any choice before that's why you avail the property with such price. But now, you have an ample time to find another condo for you to live. Moreover, there are a lot of properties that are affordable enough for you to have. Just make sure that you also choose condo of your choice for as not to have some regrets later on. Also, before you move out, make sure to clear any pending issues or bills with your landlord. With that, there will be no problems at all when you are ready to move out.